How would you manage to travel cheap? You may not, in fact, have realized this but you’re most likely spending much more on travel than is actually needed. Read on to find out how to save money with these five simple tips on planning the perfect pocket-friendly travel budget. The timing is all-important. Hand-pick a destination where most people won’t flock at the same time – meaning an off season destination. The idea surely sounds easy and cliched. Trust me; it’s not that simple like picking a place where the weather isn’t right up to your street. After all, traveling is all about feeling good. Opt for a place where there’s an ongoing off-season, but the season is just about to begin. Resorting to this tactic, you get to stay for less; the prime tourist spots aren’t crowded and delight in the real beauty of the place. Let’s face it. A huge chunk of how you plan travel expenses goes into the type of accommodation you opt for. The cheaper your hotel stay is, the more you save. Look for striking yet affordable deals with a hotel. It will help you spend less, yet stay big. To find pleasure in a few authentic experiences, you can also go for quality home-stay accommodations. No, you really don’t have to compromise on comfort and safety. Do pick a mode of transport that’s cost-effective. Steer clear of spending on extra comfort. For example, you can choose a more affordable airline although you may have lesser legroom. Or single out an AC deluxe bus rather than the costly Volvo. Yes, you’ll take a couple of hours more to get to your destination. 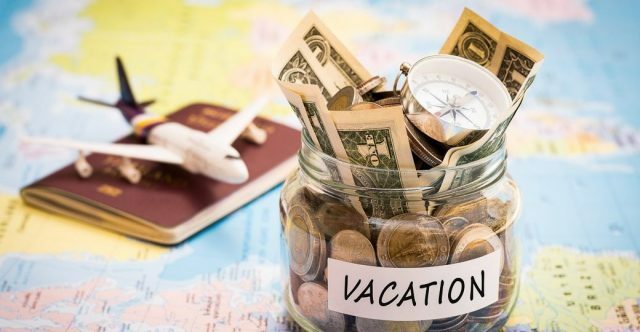 But the money you’ll save on your travel budget will be considerable. With the saving, you can take up one extra adventure escapade or a heartier meal. In case, you’re that one-off who loves to travel, yet just not fond of traveling too much, this idea will stir you up. Stay like a local. Well, it’s not only about the room where you put up. Give your entire vacay a local flavor. Engage in doing what the locals there do. Board the local conveyance, walk at your own relaxed pace, roam around in a bicycle, ask the local people to suggest interesting places where you can drop by. Like this, you’ll save enough money that you would’ve spent on taxis, tourist guides and more. Besides, you’ll get an opportunity to discover and explore the place more like a fervent traveler. When on a trip, avoiding your regular favorite food is always a better option. Stuff such as chicken butter masala or kadhai paneer is present everywhere. Instead, settle on the local cuisine. Dodge the frontline restaurants. Seek advice from the natives and then head straight to the Dhaba or local joints. This way, you’ll be able to gobble lots of scrumptious food without spending too much on it. Hope you find this plan for travel expenses helpful. Happy traveling, folks!